kid's educational activities, a parenting webcomic and other fun things for children and parents alike. 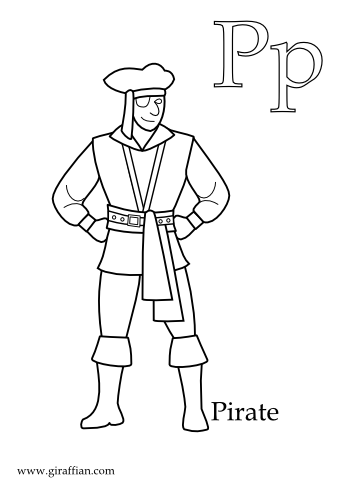 Pirate coloring in picture. Printable version in PDF: Download Here. Like the site? Don't like the ads? Pledge support via Patreon instead! While most of this site is suitable for young children, any time children spend on the Internet should be supervised by an adult. Content on this site is © Giraffian 2002-2015 unless stated otherwise. Website made by Armadillo Sandwich, powered by Drupal.